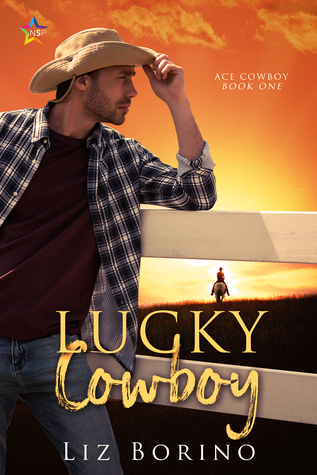 Lucky Cowboy Review ~ A true page turner … 8 out of 10! Synopsis: The description tells the reader just enough to get them interested but so little that one has to read the book. Plot: Ryder is a stockbroker who lives in New York. When tragedy strikes, he moves back home with his parents. He winds up reconnecting with his lost love, Sal, and things are going great until loan sharks from New York show up demanding a payment Ryder thought was settled and things and people are not as they seem. Main Characters: Ryder, country boy turned stockbroker. Sal, Ryder’s true love. Secondary Characters: Jason, Sal’s brother. Ryder’s parents. Sal’s grandparents. Cat, Jason and Sal’s old friend. Luke, Sal’s ex and Ryder’s neighbor. Flow/Continuity: This story flows very well. Conflict & Climax: There are many conflicts in this story. Most are drawn out a bit longer than I think necessary, but they do add to the story. Writing Style: Chapters alternate between Ryder and Sal. Editing/Formatting: There were only a couple of typos in this review copy that I saw, but nothing that really takes away from the reading. Conclusion: It was a good book and a true page-turner, in my opinion. It moved a bit slow to suit me, but still a really good story. Previous Changing Tides Review ~ Recommended … 9 out of 10! Next Over and Over Again Review ~ Well crafter dialogues and intimate scenes … 10 out of 10!